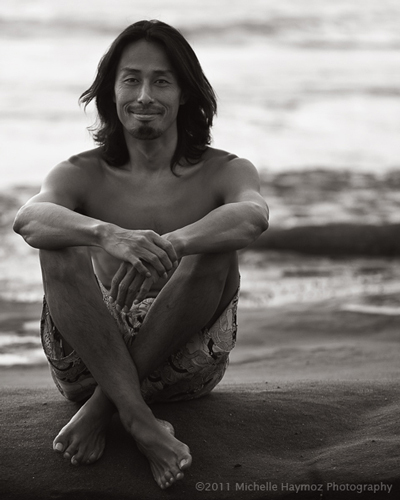 Born and raised in Japan, Atsuro started his yoga practice in his mid twenties after moving to San Diego in 2002, where he strongly connected with Ashtanga Yoga. Atsuro has been seriously practicing and studying Ashtanga Yoga with Tim Miller for over fourteen years. Atsuro has completed 4th Series under the guidance of Tim Miller in 2015, and he is currently learning the 5th Series. Tim has given Atsuro the position to teach and assist in Mysore classes for the past ten years, which has allowed him to continuously deepen and advance his knowledge and teaching experience. Furthermore, Atsuro has been assisting Tim Miller’s Teacher Training where participants gather from all over the world for many years. Atsuro's teaching style is to face each student with compassion, and guide their awareness so that the most beneficial practice unfold for each of them. His adjustments effectively and therapeutically correct asana and guide students to a deeper level of self awareness. He teaches workshops in the United States, Japan, Europe and Asia. His daily Ashtanga Yoga practice continues to change and shape his life in a positive way. Atsuro is grateful to be able to share his knowledge of the practice, and appreciates Ashtanga Yoga as a wonderful science of the mind, body, and spirit.